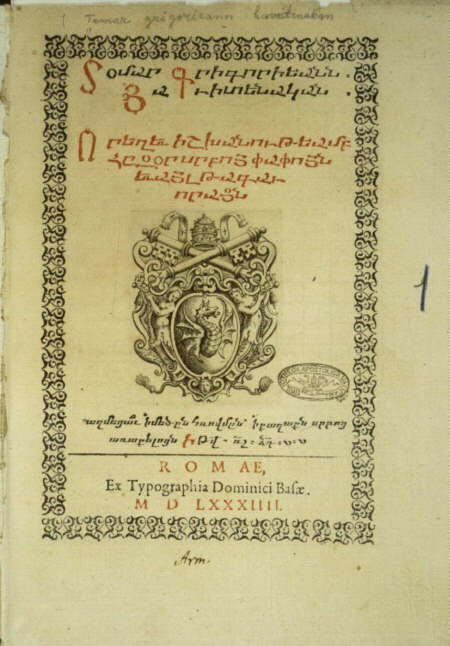 RR, Plate 168: First kept in the Royal library in Turnovo, the manuscript was taken northwest in the late 14th century by fugitives from the Turks. It was probably acquired by Isidore on his travels and taken by him to the Council of Florence. This illumination expresses the relationship between earthly and celestial power. 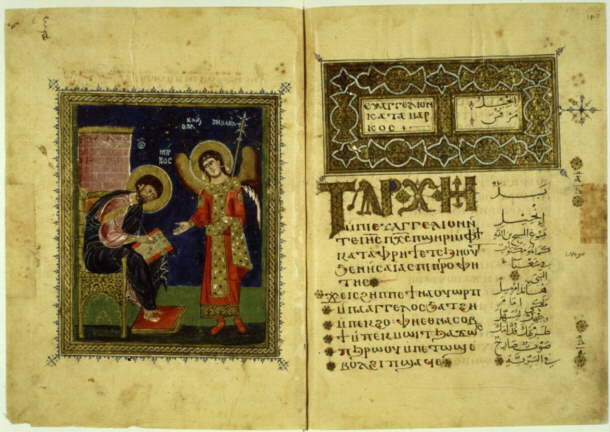 RR, Plate 169: This manuscript is one of three existing Bulgarian codices illuminated in the 14th century. It contains a series of superb illustrations that have attracted art historians and other scholars through the ages. RR, Plate 170: This Sluzebnik, owned by Isidore of Kiev is a collection of liturgical texts and contains notes in his own hand. The texts include the liturgies of John Chrysostom, Basil the Great, Philotheus, the Presanctified, and the Presanctified Gifts. 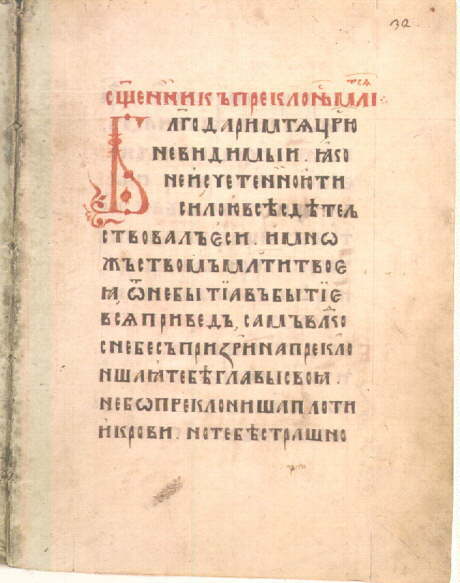 Written in a large uncial Cyrillic script of the Russian type, the manuscript is particularly striking on account of its neo-Byzantine ornamentation and its initials, mainly of a geometric, floral design. The text on display is the Liturgy of the Presanctified Gifts. RR, Plate 171: The first Armenian manuscript to enter the Vatican collection in the 15th century, this finely illuminated 13th century codex may have been donated by the Armenian delegates at the Council of Florence. These texts are mainly ecclesiastical, but there are also texts on chronology, geography, astronomy, mensuration, philosophy, and history. 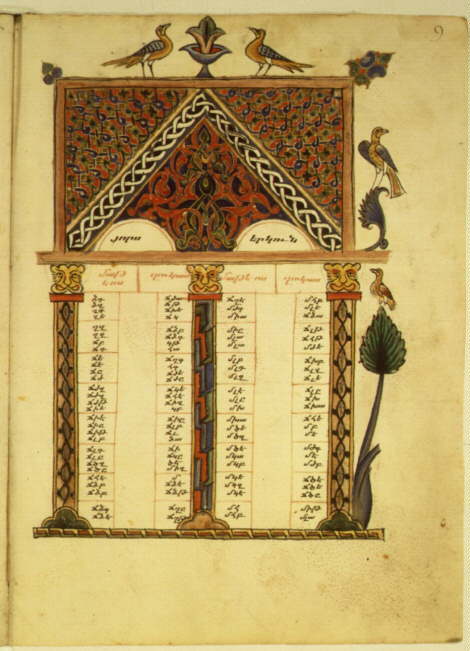 Shown here is the second part of the fifth of the Eusebian canon tables designed to indicate which passages in one of the Gospels are in agreement with the other three Gospels. RR, Plate 172: This 10th century Egyptian codex was donated to Pope Eugene IV by the Egyptian delegates at the Council of Florence. 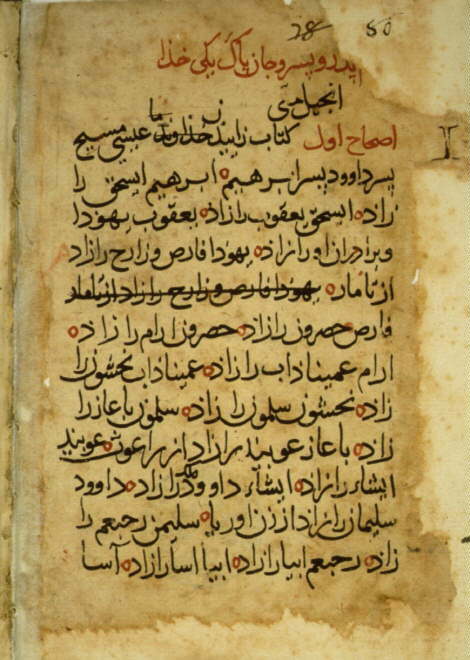 Translated from a Coptic original, it is one of the earliest Arabic versions of any part of the New Testament, none of which can be dated before the late eighth or ninth centuries. The text displayed is from Luke 20. RR, Plate 175: This book is a work of remarkable scholarship. The text of the First Psalm is displayed. 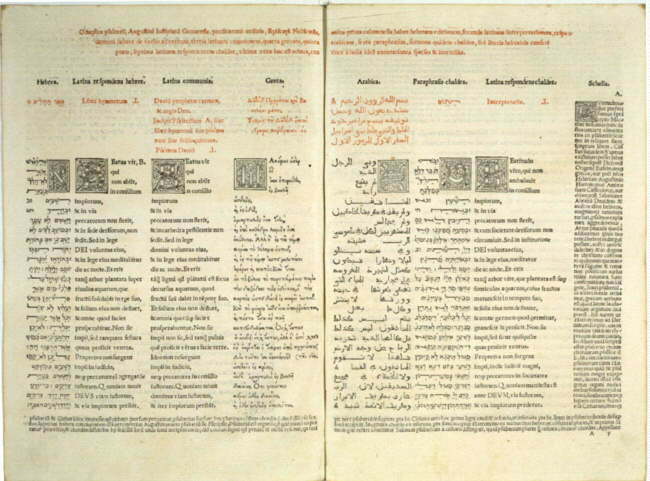 In parallel columns, spread across the two leaves, we see the Hebrew text; a literal Latin translation by Agostino Giustiniani; the text of the Latin Vulgate; the version in the Greek Septuagint; an Arabic version based on at least two manuscripts owned by Giustiniani, one from Egypt and one from Syria; the Aramaic targum; a Latin translation of the targum; and, finally, Giustiniani's own notes, in Latin. RR, Plate 176: Teseo Ambrogio's Introductio is one of the first studies in comparative linguistics to refer to several oriental languages. Although it is mainly about Armenian and Syriac, it also contains information about Samaritan, Arabic, Coptic, Slavonic, and Ethiopic. 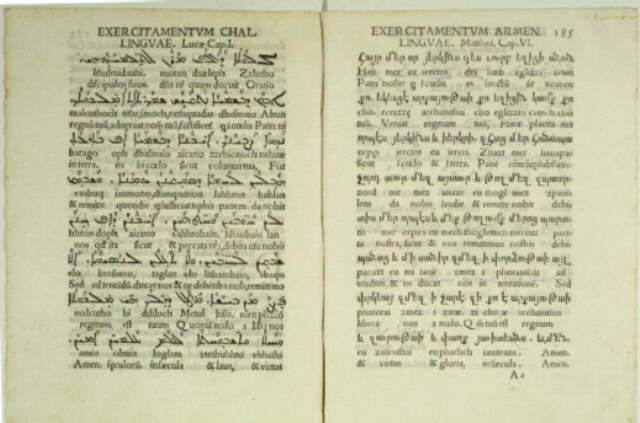 It is the first occasion on which Syriac was presented to a European readership and on which Syriac types were used. In addition to the features which make the book so important as a work of scholarship, it is one of the rare examples of a book set by dictation. 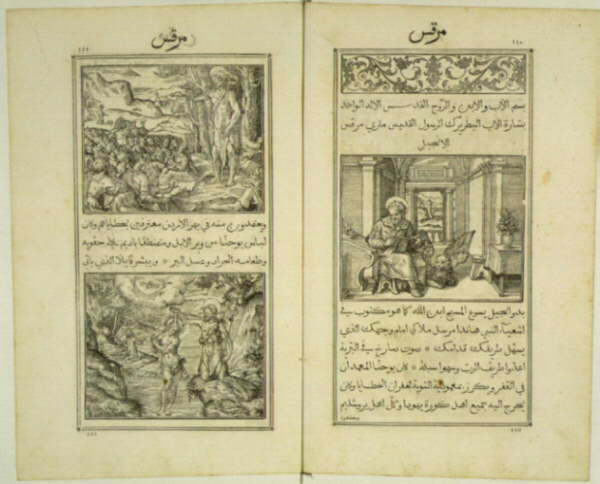 RR, Plate 177: The first edition of the New Testament in Syriac ever to be printed, the Liber Sacrosancti Evangelii contains a long introduction by Widmanstetter in which he recounts the history of oriental studies in Europe. It was published by Michael Zimmermann. The woodcut shown here is found opposite the end of the Gospel of Luke. It bears the motto In hoc Signo vinces, et conculcabis Leonem et Draconem, translated into Syriac on either side of the cross. RR, Plate 178: One of the first Quranic manuscripts to enter the Vatican Library, this codex comes from a "madrasa" or mosque school in Tunis. A fine example of the maghribi script typical of northwest Africa and Muslim Spain, the manuscript also contains good illuminations. It is only a fragment of the Quran, from sura 33:31 to sura 35:45. The pages shown here bear the last two verses of sura 33 (verses 73-74). RR, Plate 179: It is one of the rarest and most singular Arabic manuscripts in the Vatican collection. 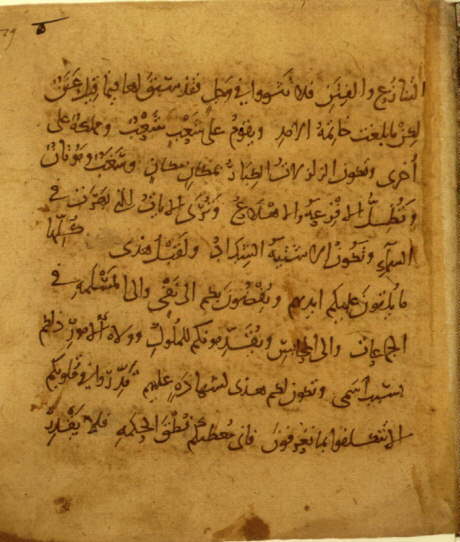 Written in maghribi script, it was probably copied in Spain in the first half of the 13th century from an eastern manuscript of the Baghdad school. The miniaturist, however, adapted the original illustrations to a western setting and changed oriental architectural details to Spanish ones. This codex remains one of the only known examples of Muslim figurative painting in Spain. RR, Plate 180: This is the first Persian manuscript to enter the Vatican Library. Written in the cursive "naskhi" script typical of the Middle East, it is one of the earliest surviving Persian manuscripts of any part of the Scriptures. The rarity of the manuscript was quickly appreciated. The page displayed here includes the opening of the text of the Gospel of Matthew. RR, Plate 181: This Armenian translation of the Gregorian calendar was printed by the Vatican press. A copy of the calendar was given to the Armenian patriarch Azarias by Leonardo Abel toward the end of 1584. 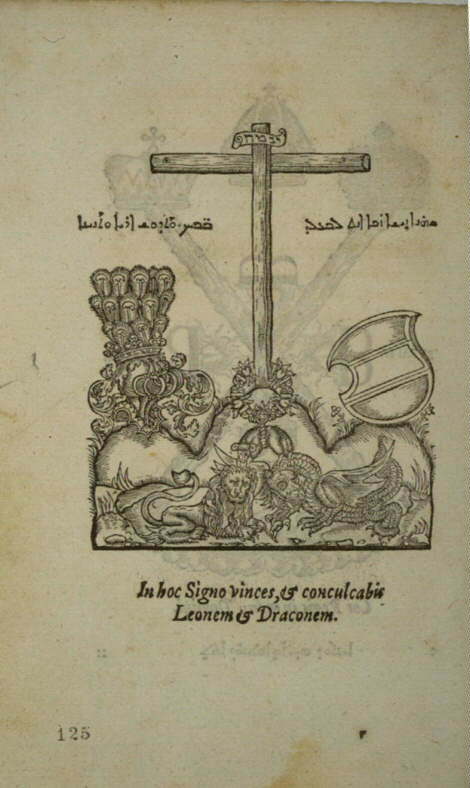 The title page shows, beneath the title, the coat of arms of Gregory XIII's family, the Boncompagni. 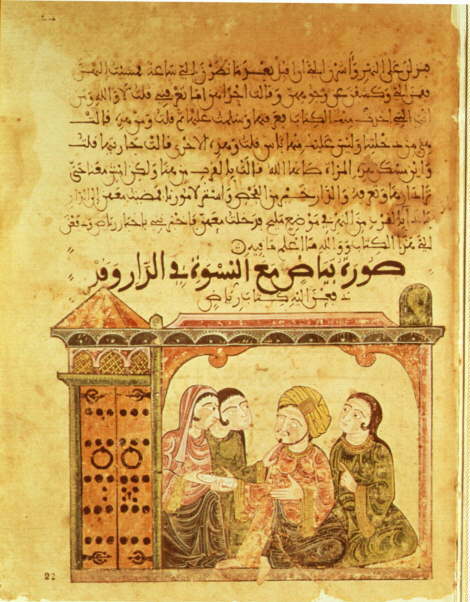 RR, Plate 182: This manuscript is one of the finest surviving Coptic codices of the Middle Ages. This codex includes both a Coptic version of the Gospels, translated from the Greek and written in an uncial script, and an Arabic translation. In the Byzantine tradition each Gospel is preceded by a historical preface stating when and where the Gospel was written, making the codex of particular interest. The manuscript is richly illustrated and illuminated. 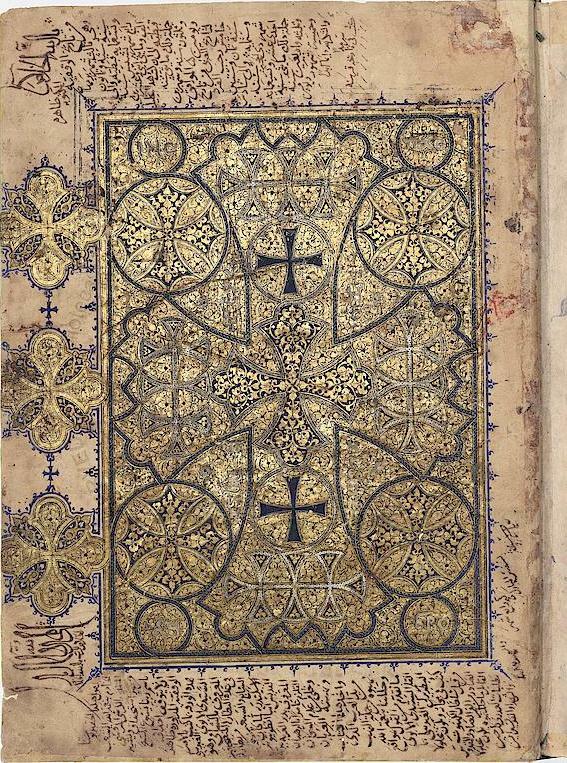 The ornamentation frequently shows Islamic influence, but the illustrations are Byzantine in style. RR, Plate 183: The 149 woodcuts with which the book is illustrated were probably made by Leonardo Parasole after designs by the Florentine artist Antonio Tempesta, known for the frescoes he painted in the Vatican and numerous Roman palaces. The pages on display here show the first chapter of Mark, verses 1-6, and include three woodcuts depicting, on the right, the Evangelist with a winged lion and, on the left, John the Baptist preaching. The woodcut below pictures the baptism of Jesus Christ. RR, Plate 173: The first folio of the codex shows the First Psalm between two strapwork bands. 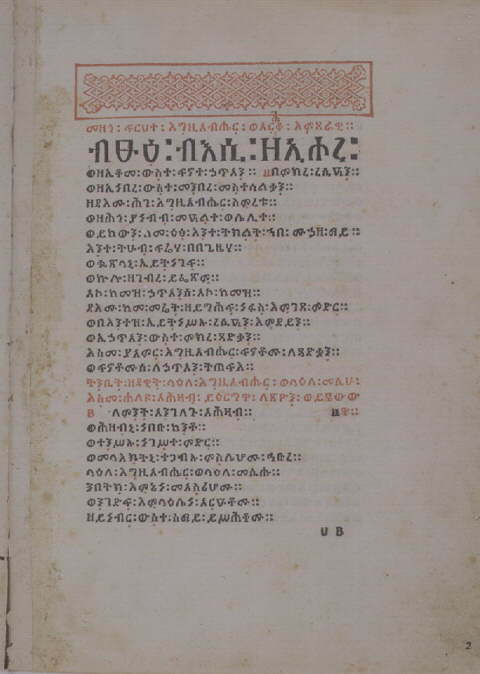 The manuscript is widely held to have inaugurated Ethiopic studies in Europe and to have been borrowed by Johannes Potken in 1511. It would thus have provided the text on which he based his Psalterium, published two years later. 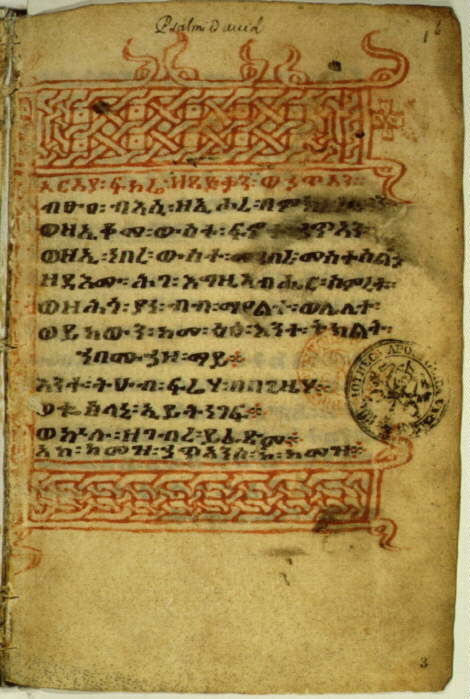 RR, Plate 174: This Psalter, probably based on the preceeding manuscript, was the first book ever to be printed in Ethiopic, the first book to be printed in Rome in any oriental language other than Hebrew, and the first Psalter to be printed in any language other than Hebrew, Greek, or Latin.